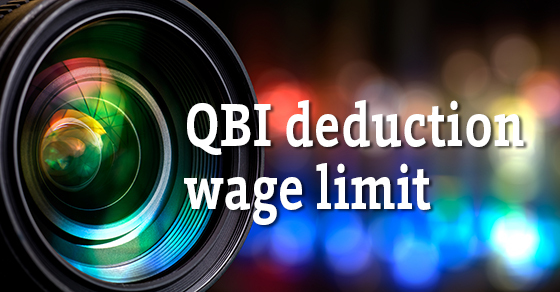 The Tax Cuts and Jobs Act (TCJA) provides a valuable new tax break to non-corporate owners of pass-through entities: a deduction for a portion of qualified business income (QBI). The deduction generally applies to income from sole proprietorships, partnerships, S corporations, and typically, limited liability companies (LLCs). It can equal as much as 20% of QBI. But once taxable income exceeds $315,000 for married couples filing jointly or $157,500 for other filers, a wage limit begins to phase in.